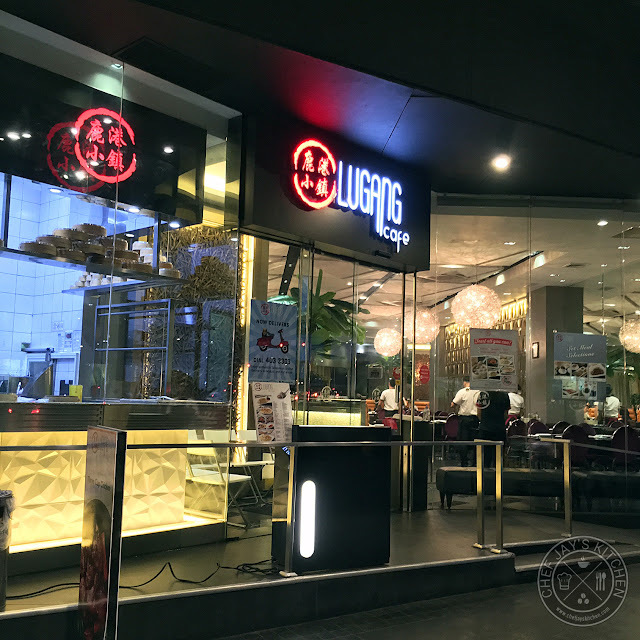 Lugang Cafe is the Philippine franchise of Beijing-based Bellagio Cafe, a very popular Taiwanese restaurant in Beijing and Shanghai. 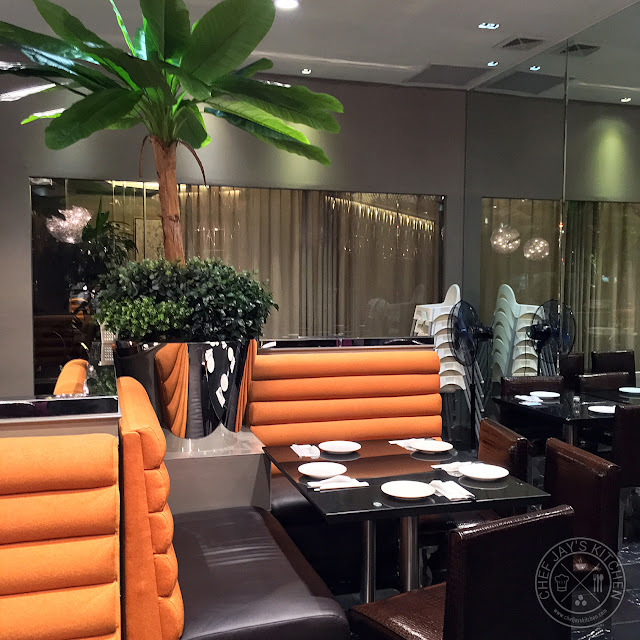 True enough, the restaurant has been awarded for its delicious, world-class contemporary Taiwanese dishes and stylish interiors by none other than the prestigious Philippine Tatler's 100 Best Restaurant awards from 2011 to 2014. All the handiwork of their team of world-class Chinese chefs that are passionate to serve the very best dishes that Taiwan has to offer. We were able to enjoy a number of their excellent dishes through their Feast All You Can Promotion, which ends this July 30, 2016, where you can enjoy unlimited dimsum and more for only Php 588+! Although they do seem to regularly offer this promo, it's not a certainty so I do recommend you take the opportunity now. I love the Lugang Cafe's beautiful and modern interiors. These orange couches are very comfortable. No, the place does not make you feel like you're in rural China but has a very contemporary and elegant feel to it. 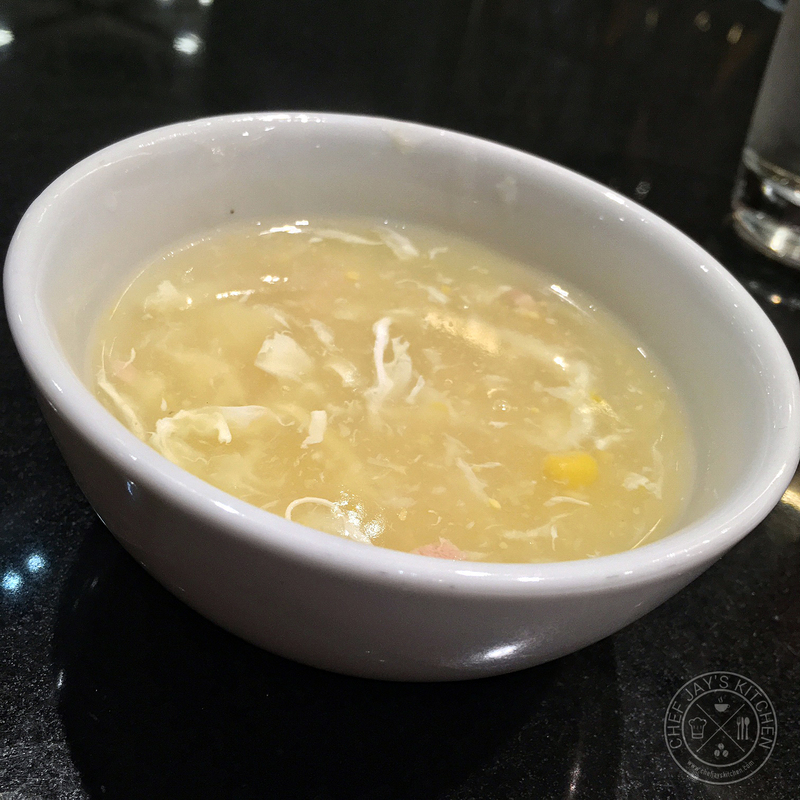 The soup of the day that comes with the was the Crabmeat and Corn Soup (Php 320) that was very rich and flavorful. It was a nice way to start off the feast while we were waiting for the rest of the dishes to be served. The rice of the day was their signature Golden Fried Rice with Shredded Pork (Php 280). I liked that it had just the right amount of seasoning so that the flavor isn't too strong when you pair it with their mains. We only shared 1 small cup of rice the entire evening (because we focused our attention on the dimsum, of course!). 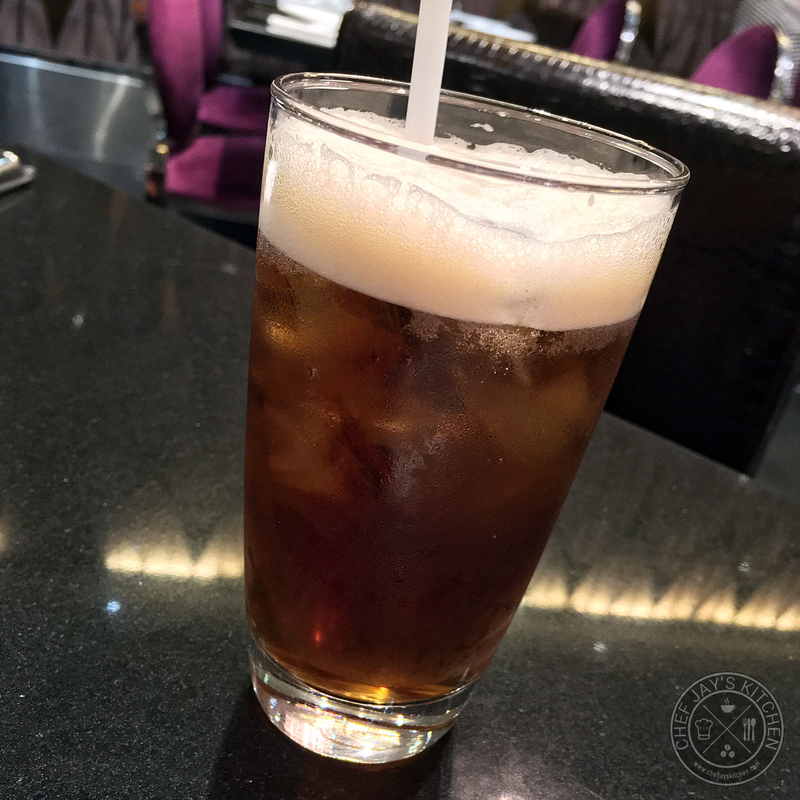 The promo comes with Lugang's Freshly Brewed Iced Tea (Php 150). It was regular iced tea for me and there wasn't anything too special about it. It was nice that they included iced tea in the promo making it more 'sulit'. 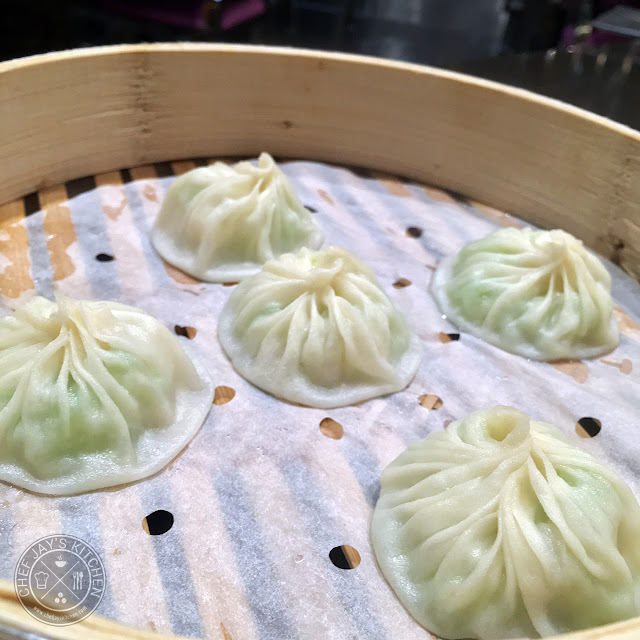 The star of the evening was definitely the Steamed Pork Xiao Long Bao (Php 248) which is normally served in a basket of 8 but each order in the dimsum promo comes with just 5 pieces (you can always order more if you like). 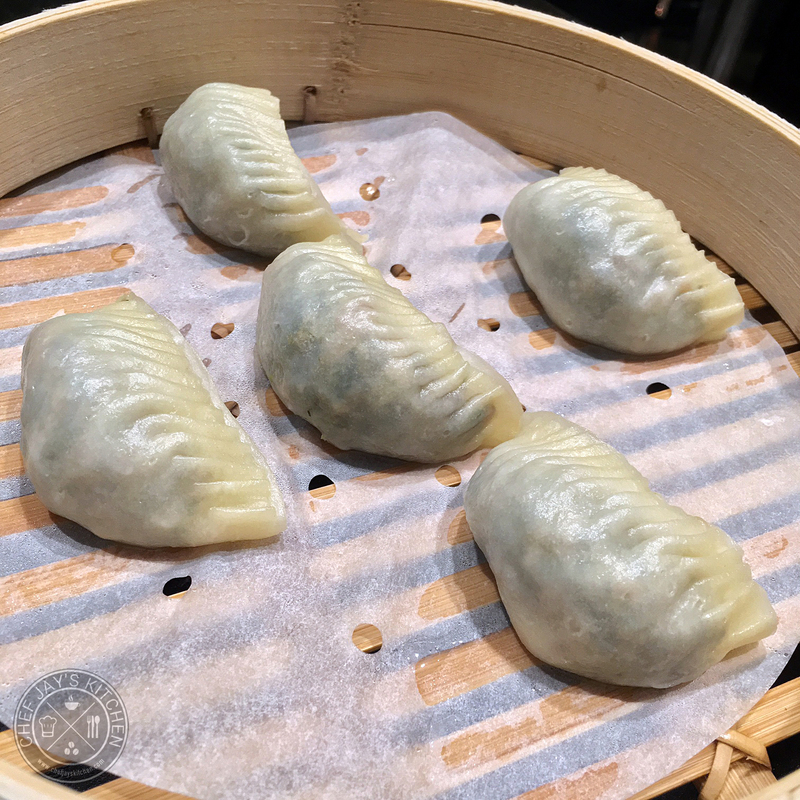 I'd say it's the third best dish I've had all evening and it's not hard to see why people flock to Lugang Cafe just to enjoy their delicious Xiao Long Bao. Each dumpling has a lot of flavorful soup and each bite just bursts with flavor. 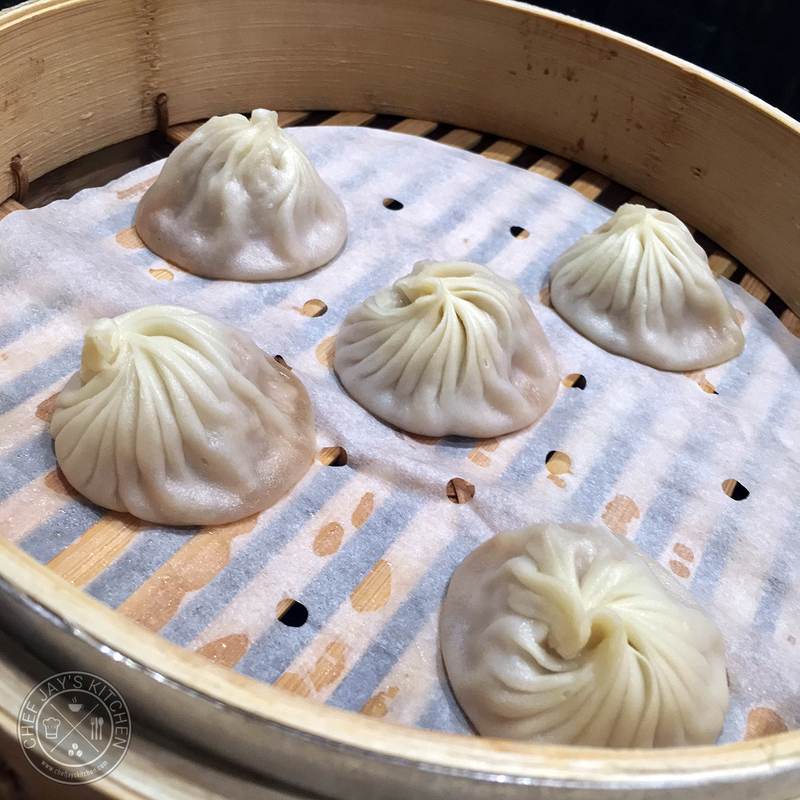 I think I had over 10 pieces of Xiao Long Bao that evening, Uhm, I lost count. 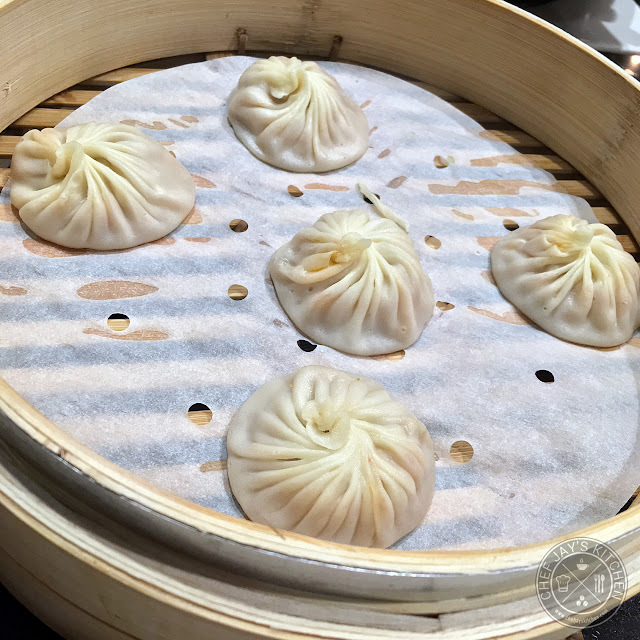 The Steamed Angled Loofah with Shrimp Xiao Long Bao (Php 228) is my favorite Xiao Long Bao from Lugang Cafe and is, in my opinion, the second best dish I've had from their special Feast All You Can menu. I'm just a sucker for shrimps, and the hakaw-lover in me just loved every bite of this XLB. I can probably finish a lot of baskets on my own! If you love seafood as much as I do then I'm sure you'll enjoy this. The Steamed Kimchi Xiao Long Bao (Php 268) may not be one of my favorites (I really don't like anything kimchi in general) but the way Lugang cooks it takes away the pungent smell of Kimchi and replaces it with a light, desirable Kimchi aroma that's not too strong. I think it would be perfect for those of you who love Korean food and Kimchi, but it's just not for me. 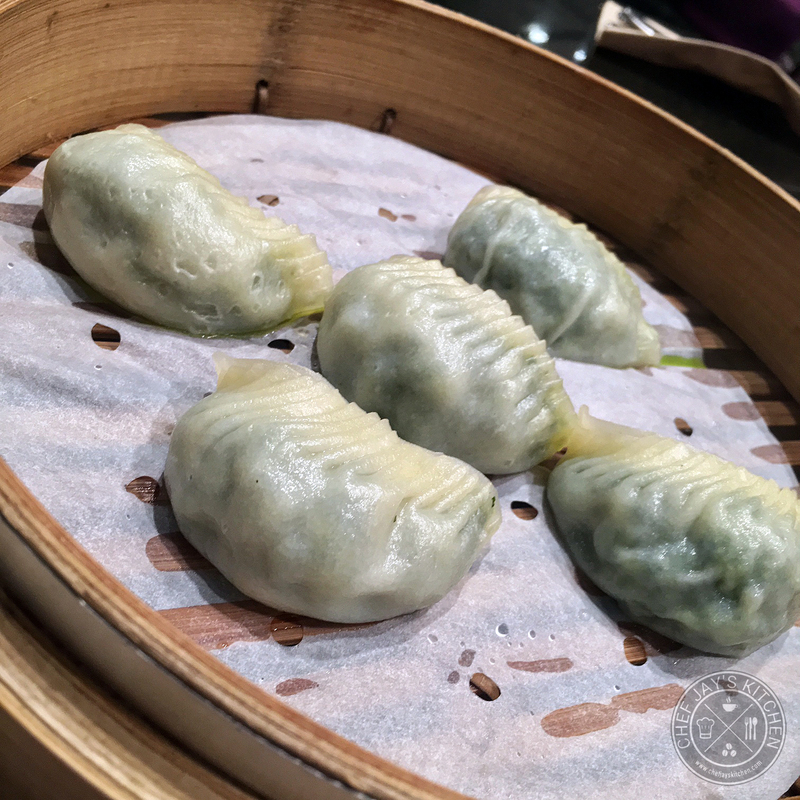 The Steamed Vegetarian Dumplings with Truffle Oil (Php 288) may be the most expensive dumpling on the list but it's also my least favorite. I thought the truffle oil was just too strong and there wasn't a lot to balance the flavor out. Each bite fills your mouth with truffle flavor which is a good thing except that it's difficult to wash of and get your sense of taste back. It's good vegetarian dish, but it's not one of my personal favorites. The Steamed Vegetable and Pork Dumplings (Php 268) was a lot better than the ones with truffle oil because the flavor had a lot more balance to it. The stuffing was beautifully flavored and I liked how the wrapper was light and paper-thin. It's highly recommended! 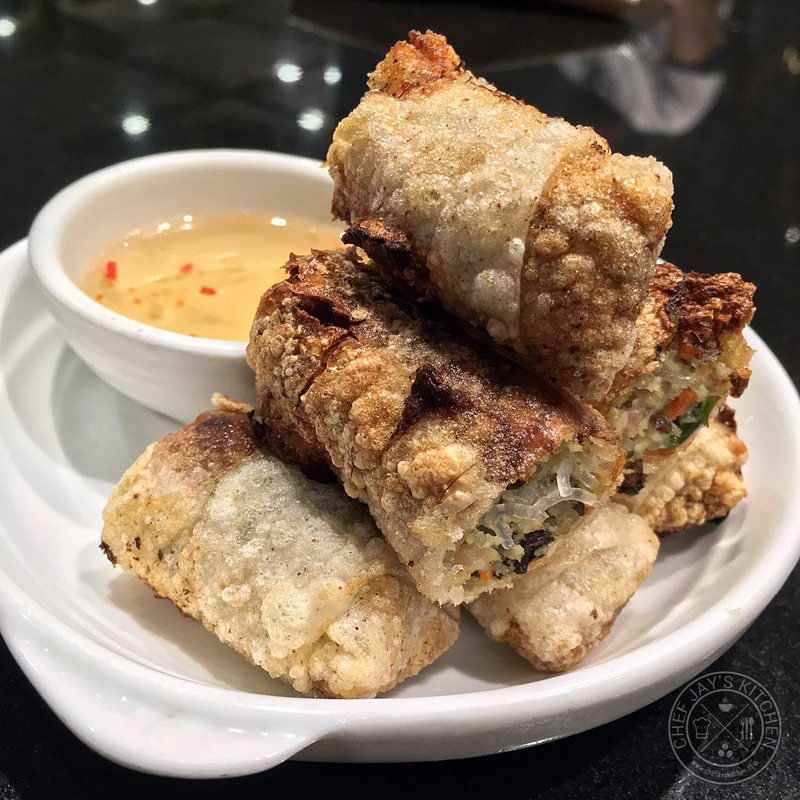 The Vietnamese Egg Rolls (Php 190) were spring rolls that were deep friend until they became very crispy. It had a very umami-rich flavor and the vinegar dip helps balance out each flavorful bite. I liked that it wasn't too oily, and it's a dish I would definitely order again. 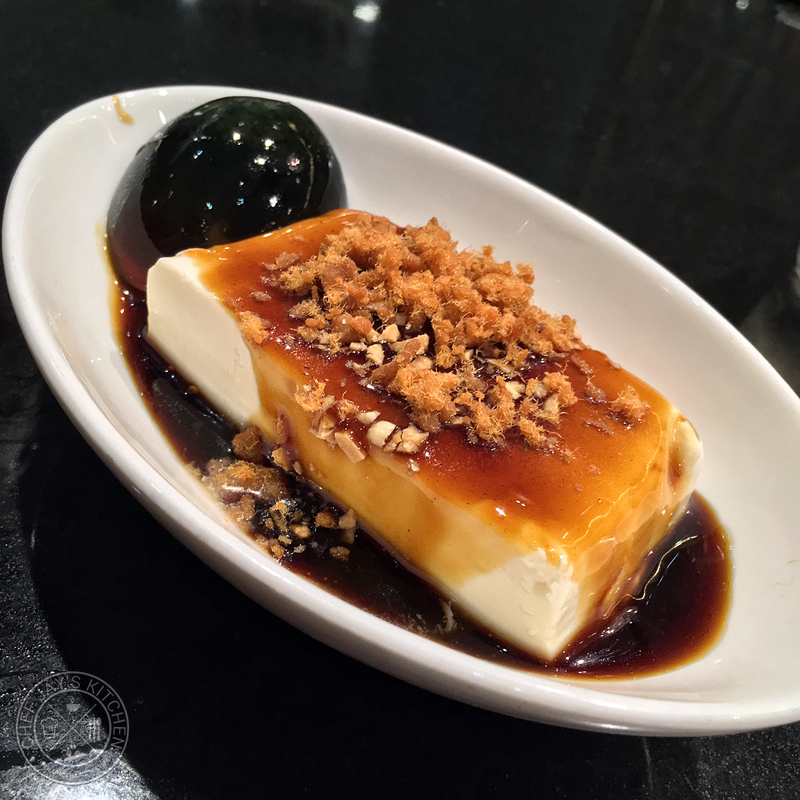 The Tofu with Preserved Egg and Floss (Php 160) is a no-brainer for those who love the taste of tofu and century egg. 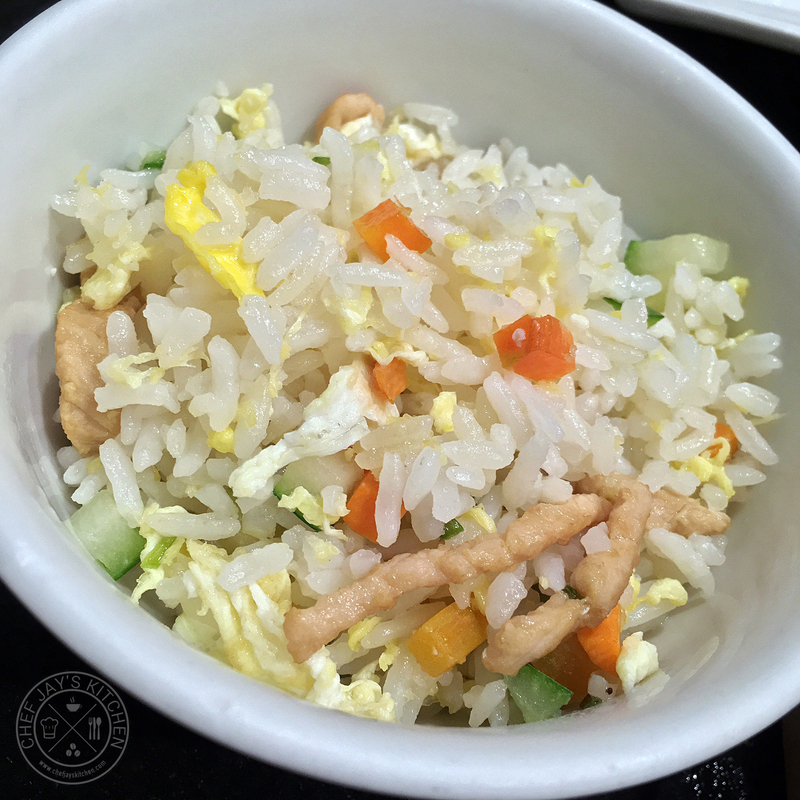 Served cold, the dish is sweet and is a very popular Chinese dish. Lugang's version was very good and well-balanced, which makes it one of the dishes I'll be sure to order the next time I come back! 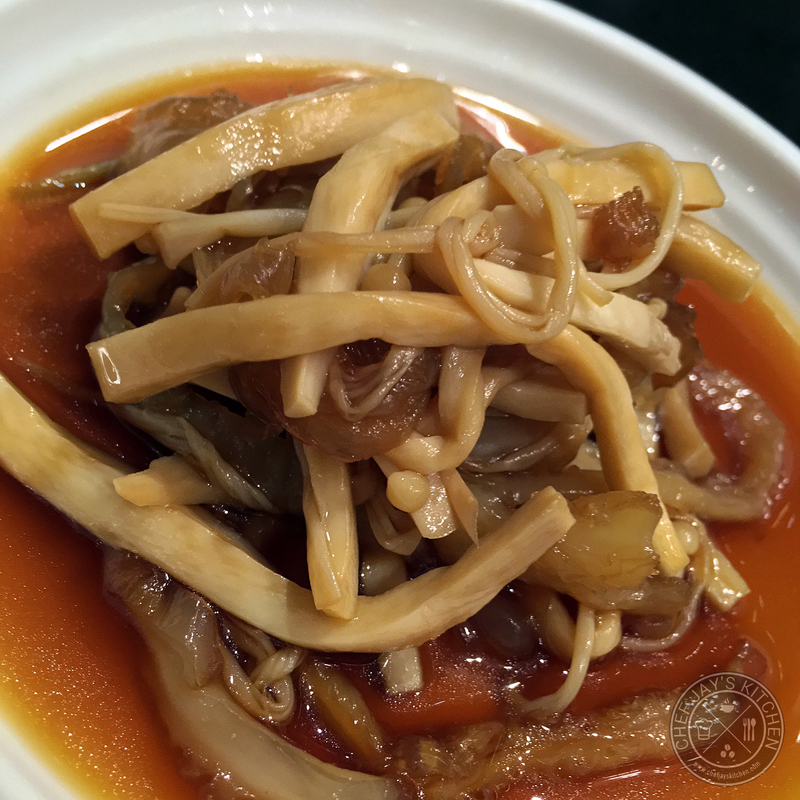 The Abalone Mushroom and Jelly Fish (Php 290) is just that, a cold appetizer of abalone and jellyfish served with their sweet special sauce that was also very good. I'm not a huge fan, but it was interesting and tasty. I can't find the Pork Wontons in Spicy Chili Oil in their regular menu but it's one dish that you shouldn't miss! 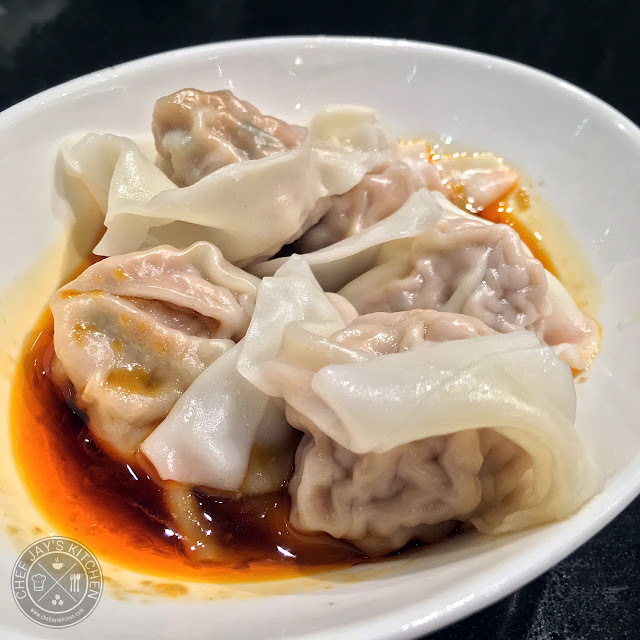 It's definitely in the top 5 dishes I've had and I really loved the mild chili flavor coating the wonton in each bite. The pork was well-seasoned and you can find yourself enjoying a lot of these non-stop! The Kung Pao Prawn (Php 680) was the highlight of my evening. This sweet and spicy dish was just bursting with flavor in every bite as each prawn was still perfectly moist inside. 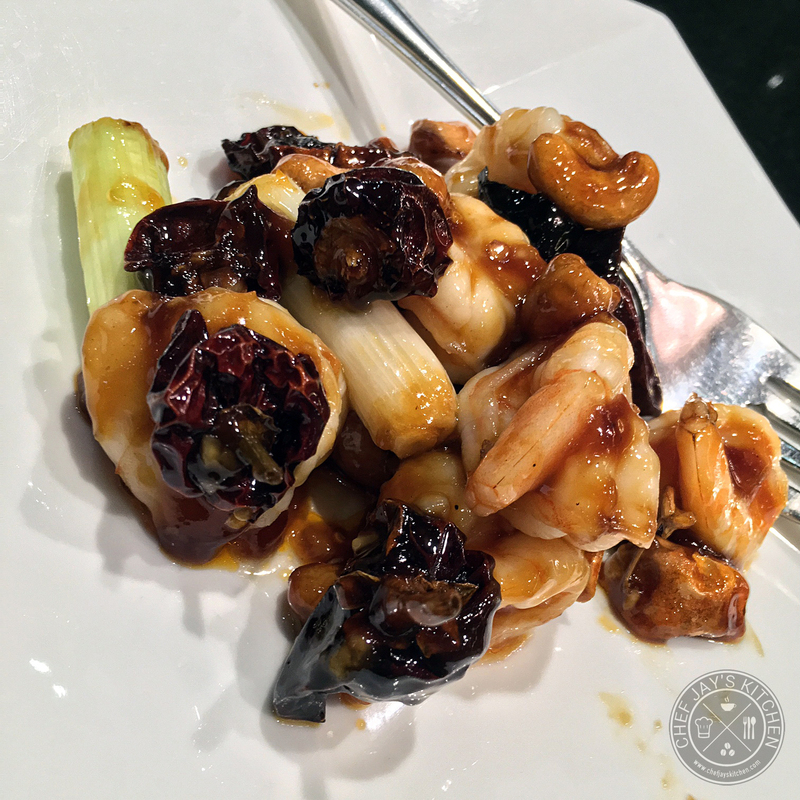 When paired with the cashews, I'm not sure how anyone could not love this dish. It's my favorite dish from Lugang Cafe and I still find myself craving for more. The Soy Sauce Braised Pork Knuckles (Php 430) is tasty but I'm not a fan of Pork knuckles. Each bite was succulent and beautifully flavored and I can see the charm that makes it one of Lugang Cafe's house specials. It was also so nicely cooked that the meat was literally off the bone while we were eating it. It was very good, but it's not something I would personally crave for. I'd probably order either the Roast Duck or Three-Cup Chicken instead next time. 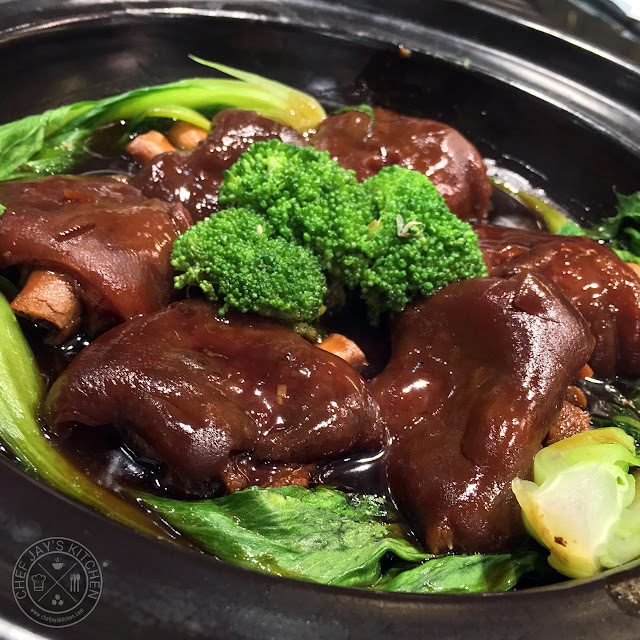 Lugang Cafe is already one Manila's premier Chinese restaurants offering delicious Taiwanese dishes for everyone to enjoy, but they continue to make their food more affordable with treats such as their Feast All You Can Promo. A few dishes in, I already felt that our meal was very 'sulit' because of excellent dishes such as the Pork Xiao Long Bao, Steamed Angled Loofah with Shrimp Xiao Long Bao, Pork Wontons in Spicy Chili Oil, Kung Pao Prawns, and Soy Sauce Braised Pork Knuckles to name a just a few. You shouldn't miss dining at Lugang Cafe, especially with the promo, as you're sure to get you're money's worth. Even when the promo ends, the tasty food is sure to keep you coming back for more of their delicious Taiwanese specialties. Don't miss out! You can follow me on Facebook or subscribe to Chef Jay's Kitchen by email to get updates on new articles. To check out my restaurant reviews, follow me on Zomato.